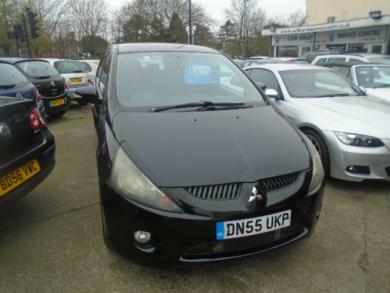 2006, 55 plate, mitsubushi grandis DID, 7 seater, used, passneger car, MPV, black metallic, grey cloth, 5 door, diesel, 2.0, manual, full service history, alloy wheels, power assisted steering. This car is sold with a full service and one years MOT and also upon sale is fitted with a new timing belt. comes with 3 months parts and labour warranty.